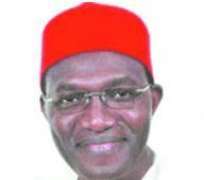 It was bad enough that Andy Uba raised the political adrenalin in Anambra with his untoward ambition towards the Governorship mansion. But it is all the more unpatriotic that the Nigerian government with its eyes wide open has continued to grant oil concessions to Andy Uba as he continues to perpetrate his criminalization of a strategic sector of the Nigerian economy. As we observed in an earlier report that Andy Uba could afford to buy a private jet without any known bank account operational in his name, Huhuonline.com has uncovered a hydra-headed racketeering scheme masterminded by Andy Uba to acquire more oil blocks using surrogate local companies, owned and financed by foreign groups including the Chinese. Huhuonline.com understands that the Yar'Adua government is about to issue a call for bids for nearly 60 marginal fields. Theoretically reserved for Nigerian companies, Andy Uba has worked to ensure that the extraction of oil or gas from marginal fields is financed by foreign companies who act as “sleeping partners” for their Nigerian surrogates. With a new bidding round for the mini-fields looming ever larger, Andy Uba and his foreign financiers are positioning themselves to win from the auction. Huhuonline.com has learnt from impeccable industry sources that Andy Uba is the front man for the Chinese Company; China Sonangol which is discreetly present in Nigeria's offshore. Controlled by Sonangol and China's Beiya International Development Ltd, China Sonangol over the past five years, has acquired stakes in Nigeria's oil sector and the group equally controls a permit in the deep Nigerian offshore. The acreage is OPL 256 that lies south of Malabu Oil & Gas' OPL 245 and covers depths of over 3,000 meters. China Sonangol discreetly acquired the license from the US firm Devon last year. Sonangol has owned 10% of OPL 256 since 2005. Andy Uba has used his high-level political connections to help China Sonagol constitute a portfolio of assets in Nigeria. Sonangol remained a sleeping partner until 2008 when Devon put all of its acreage in Africa up for sale. Thanks to Andy Uba, Sonangol made an offer for all of OPL 256 via China Sonangol. It now operates the license, in which the Nigerian Petroleum Development Company (NPDC), the E&P affiliate of state owned NNPC, also holds a stake. Andy Uba's finger prints were all over the backroom wheeling and dealing that crystallized in Britain's Afren, establishing a “Nigerian affiliate” named First Hydrocarbon Nigeria Company Ltd in league with two local banks, First City Monument Bank and Guarantee Trust Bank. Afren, and by extrapolation, Andy Uba has a hand in work on the Ofa field with Independent Energy on Royal Dutch/Shell's OML 130 block. Afren has also financed development of the Eremor field with Excel Exploration on Royal Dutch/Shell's OML 46 and that of Eboke on ExxonMobil's OML 67. Exxon's partner on the acreage is Oriental. Sources told Huhuonline.com that Andy Uba was the brain behind the decision by the Nigerian National Petroleum Corp (NNPC) to set up a new gas affiliate named Strategic Agregator Company (SA), whose job will be to determine how much of Nigeria's gas can be exported in keeping with local needs. SA will become a de facto intermediary between producers and buyers of Nigerian gas with Andy Uba calling the shots as a “broker”. SA will initially come under the direct authority of businessman oil minister Rilwanu Lukman and the NNPC led by his surrogate Mohammed Barkindo, will hold a majority stake but the government has left room for private investors to eventually buy into the firm. “It is any body's guess that Andy Uba will acquire an equity stake in SA and then use his position to ensure that local needs are satisfied before any gas is sold abroad to make sure the country's power stations have enough gas to function properly”, the source noted with a tinge of irony. It certainly calls to mind once more the arbitrariness of the Obasanjo years, that similar skewed geometry was applied to award oil blocks to Andy Uba who is renown for dishing out lavish “constituency allowances” to lawmakers from oil-producing states. It should be recalled that but for Atiku Abubaker`s greed, the “evil genius” called Andy Uba would have remained a mere pimp. Recall that in 2003 Atiku deceived by the leadership of the governor forum, for the most part, James Ibori, Lucky Igbinedion and Orji Kalu, decided to usurp his principal and pick the PDP ticket as presidential candidate. But this was to be, as President Obasanjo had to do whatever it took, including kickback, horse-trading and plea on his fours to get Atiku to rescind his decision. The three thieving ex-governors, Huhuonline.com learnt, had inordinate personal ambitions. They went to Atiku and informed him that President Obasanjo had failed Nigerians in his first term, thus should not be allowed a second term. Our investigations revealed that they told Atiku that they had reached a consensus, and twenty of the thirty six governors were ready to deliver their state through rigging to him (Atiku), if he agreed to upstage President Obasanjo in 2003. Gullible Atiku was sold on the scheme; consequently, he commenced dialogue with some ex-military heads of states from the north, who played along with the agenda, but for selfish gains. In their estimation, this was an opportunity to unravel the Obasanjo/Atiku alliance. Recall that between 1999 and 2003, Atiku had virtually taken over control and management of the Nigerian economy. Huhuonline.com learnt that President Obasanjo who had only twenty thousand naira in his bank account when he was conscripted into the Presidential race, did not want his second term bid bankrolled by Party money bags, who specialized in qui pro quo deals. Thus, Obasanjo, created multiple avenues for Atiku to amass stupendous wealth to finance their re-election campaign, while maintaining the public posture of anticorruption crusader. However, Atiku became emboldened by his new-found wealth and power. When push came to shove, Atiku rebuffed all entreaties by Obasanjo to make funds available for his re-election, forcing Obasanjo to call on Aliko Dangote who came to his rescue with N2 billion in cash. Irked by this betrayal, Huhuonline.com gathered that Obasanjo decided to financially empower his boys, particularly Andy Uba - hatchet man and pimp extraordinaire - who was his assistant on domestic matters. Subsequently Andy Uba was handed the keys to NNPC and its subsidiary DPR. Andy Uba does business only by proxies and has no bank account in his name, sources close him told Huhuonline.com that he is probably one the richest men in Nigeria. Our investigation revealed that in 2006 one of Andy Uba`s numerous proxy corporations, Focus Energy forged an alliance with British oil company BG under questionable circumstances to acquire oil block OPL 286 in Nigeria offshore. However, document made available to Huhuonline.com revealed the production sharing agreement for Andy Uba`s oil block OPL 286 was signed on March 8th 2007. Our findings links Andy Uba to another oil block OPL 322, which he acquired using another of his proxies, Sahara Energy Company, a group led by Tonye Cole, and son of Andy Uba`s former colleague Dele Cole, who also served as aide to President Obasanjo. Our impeccable sources within the NNPC described as “shady and shoddy” the manner in which both oil blocks was acquired and were at some point under the scrutiny of Nuhu Ribadu-led EFCC. OPL 211 is another oil block in Andy Uba endless list, acquired using Lotus Energy, a company owned by Andy Uba, and one Evelyn Ndali Oputu and old flame of Senator Fred Brume. Though an oil block cost million of dollars to secure, sources told huhuonline.com that Andy Uba in most cases muzzled DPR in securing the oil blocks, and in other cases paid pittance for them. While these oil blocks generates gazillion of dollars for Andy Uba and his proxies. It is anybody's guess for how long more Nigerians will endure the aggravation of their penury perpetrated by Andy Uba and his greedy mendicants.